The supreme direction of the First World War has remained a matter of controversy; in this essay, John Terraine contrasts Lloyd George’s hopes with the manner of their realization. Ian Young explains the many guises of Russia's Romanov ruler: in Napoleon’s caustic phrase, “the Talma of the North”; according to Chateaubriand, “a strong soul and a feeble character”; styled by Pushkin as, “the Sphinx who took his riddle with him to the grave”; Alexander began his life as a liberal visionary and ended it as an impassioned champion of the autocratic principle. At a time when a Communist government is trying to destroy all links between Romania and the West, Radu R. Florescu surveys the facts and legends about his country's past. L.R. 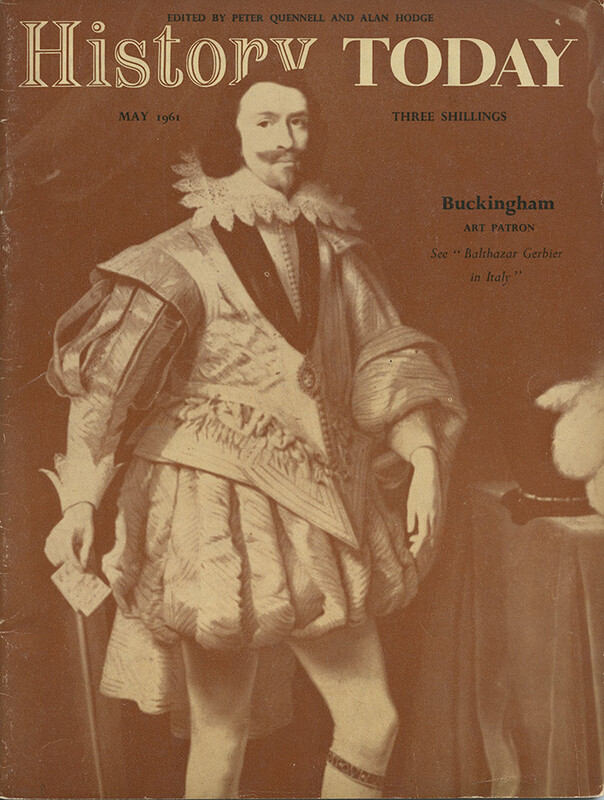 Betcherman describes how, early in the seventeenth century, an English royal favourite, the Duke of Buckingham, despatched his Dutch agent to Italy to form a sumptuous art-collection.